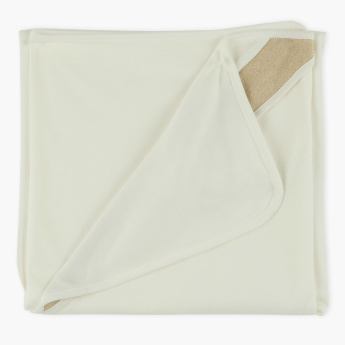 Giggles Receiving Blanket - 78x78 cms | Cream | Keep your baby warm and cozy with fashioniated looks. Your darling daughter will feel snug and comfortable under this blanket. Made from a soft material that is light in weight, this blanket features a design detail that adds to its look. Feature 1 : Keep your baby warm and cozy with fashioniated looks.